The enigmatic shape of labyrinths have long intrigued both historians and archeologists. Today, many gardeners are taking advantage of the classic design in their own garden to create a place of serenity and calm. The design is one that you can easily replicate at home with just a little bit of work. 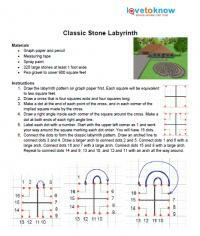 Take the difficulty out of designing a labyrinth by printing a set of instructions that meets your needs. 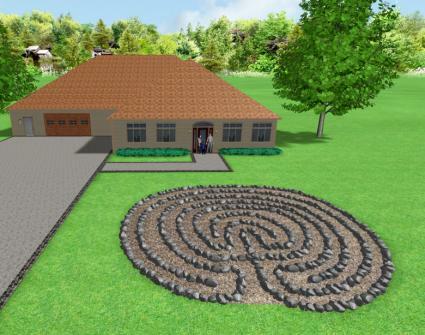 Your options include a large stone labyrinth, a small trench labyrinth, and a lighted luminary labyrinth. Customize your chosen garden design by following the tips below. Use flagstones for your path instead of pea gravel. Locate your labyrinth near mature trees for shade. Place benches and potted plants around the labyrinth. Enclose your labyrinth with a white picket fence and landscape around it using native shrubs, plants, and trees. 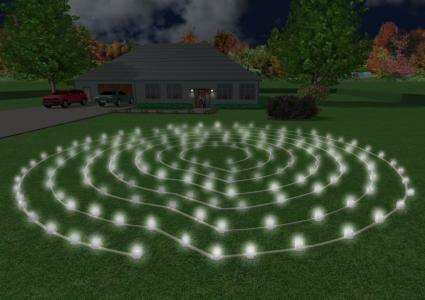 Install solar lights on poles to enjoy your labyrinth at night. Use hardwood mulch for the path. Use two layers of stacked flagstone for the outline instead of large stones. Landscape around the labyrinth with ornamental grasses to create a private space. Fill the trench with river rock instead of white stone for a more rustic feel. Cover the labyrinth with an arbor and plant vining plants to create shade and add interest. Install solar lighting instead of using luminaries. Use colored battery operated tea lights for a festive appeal. Plant creeping thyme between the lights for a fragrant path. Place small stepping stones between the lights for an elegant path. Place an arbor at the entrance and cover it with flowering vines. 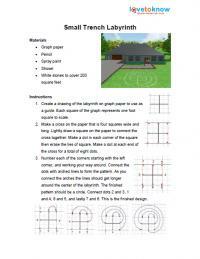 Be sure that you completely understand how to draw the design on graph paper before moving outside. Select your location carefully, as the labyrinth is difficult to relocate. Make this a family or group project; it will go faster this way. 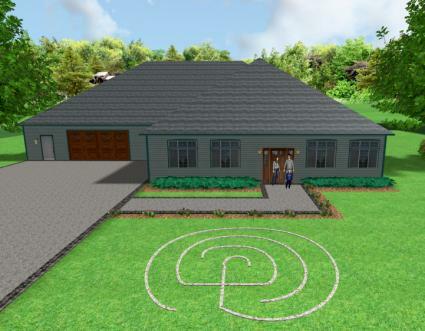 Do not construct your labyrinth over top of wells or septic fields, or near water meters or fire hydrants. 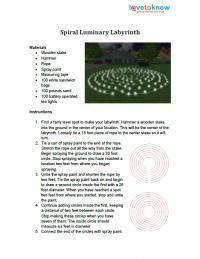 Start with a small scale labyrinth before moving on to a larger size. Use landscape fabric or kill the grass first to avoid weeds and grass from popping up where you don't want them. 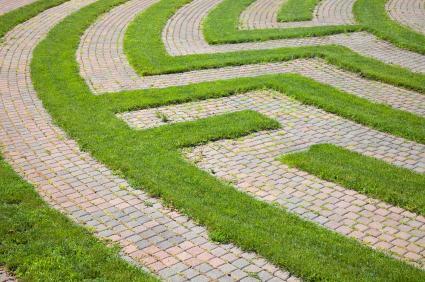 Besides being a pleasure to look at, creating a labyrinth offers an opportunity to relax and focus inward. You can walk quietly and clear your mind or just sit down amongst the natural elements of your winding paths to refocus and energize. As more people discover the serenity in creating personal garden spaces, labyrinths will continue to grow in popularity.